Day THREE of Fan Spotlights! We see so many amazing projects featuring Newton's Nook Designs products that we thought it would be fun to have our Design Team members pick their favorites and share them on our blog! Each day this week we will share a couple of our favorite projects, created by YOU, our fans! See your project below? 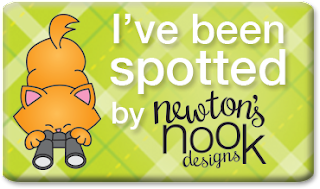 Make sure to scroll down to the end and grab our "spotted" badge for your blog! 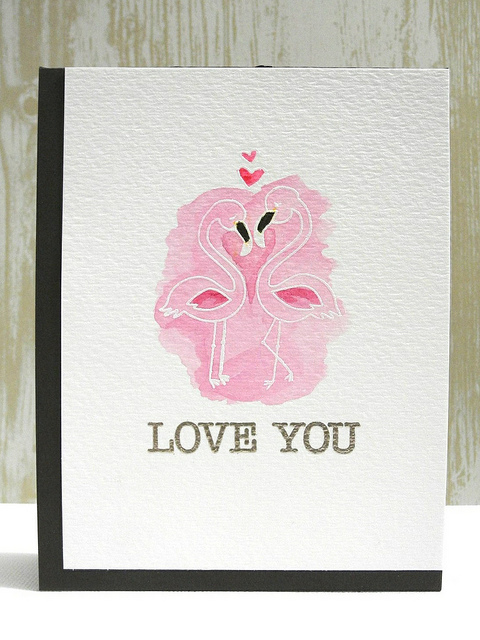 Design Team member Lydia Evans picked this fun flamingo card by Just Jingle. This card uses our Flirty Flamingos stamp set. "I loove the CAS look ... and the clever use of watercolour"
Design Team member Larissa Heskett picked this adorable summer kitty card by Diane Jaquay. This card uses our Newton's Summer Vacation stamp set.
" I LOVE LOVE LOVE this BRIGHT and HAPPY Design by Diane!! Just a SUPER AWESOME Design!! " Thank you for featuring my card, this made my day! Cute flamingos and I love the balls and the bright awesome colors on the cat card!! Diane is incredibly talented and loved seeing the pink, happy flamingos by Jingle was so fun! !